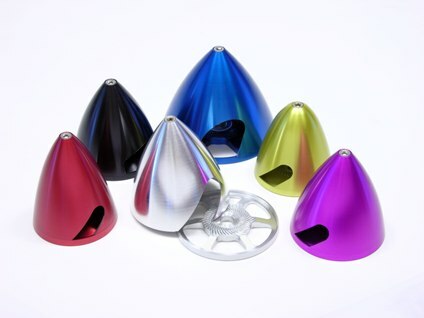 Tru-Turn is offering anodized spinners in our most popular colors & sizes! you've come to expect of our Precision Barstock-Turned Aluminum Spinners. so there is no affect to the balance of your fine Tru-Turn Spinner. Search our Products Pages for the spinner of your choice. and then add your spinner to your shopping cart on our secure server. Note: Color shades and color matches cannot be guaranteed.